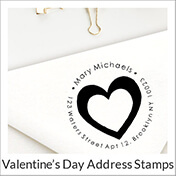 Click here to see how to correctly pluralize your last name for family address stamps! 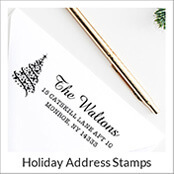 Give your mail a seasonal touch with custom holiday return address stamps. 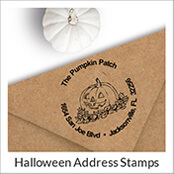 Each holiday stamp is available in several wonderful styles with an optional custom text area. 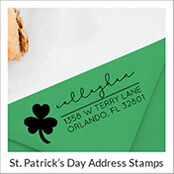 Get a stamp for every holiday featuring Christmas, Hanukkah, Easter and patriotic stamps for Memorial Day, July 4th and Labor Day. 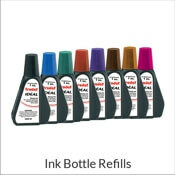 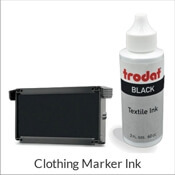 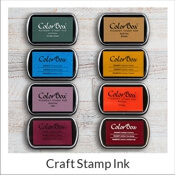 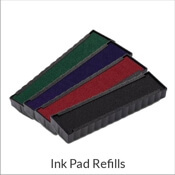 Select a stamp design from our selection to continue your stamp order. 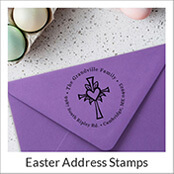 All holiday stamps are guaranteed for quality and can be purchased in either a rubber stamp format or self-inking style. 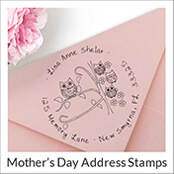 Our stamps are typically shipped within 24 hours of purchase.